As public relations professionals we are often asked – what exactly is public relations? Personally, I find that my definition is evolving daily as I am constantly finding connections between the core rules of public relations and everyday situations. 1) It’s all about deadlines. Just as you need to keep print deadlines in mind when pitching to monthlies or dailies, deadlines are key when wedding planning. A Bride-to-be constantly needs to check and recheck vendor contracts to make sure she does not miss any deadlines for deposits, guaranteed headcounts or setting the menu. 2) It’s all about the right fit. Just as you craft a different pitch for a food writer than you would for an entertainment writer, it’s all about finding the right fit with a vendor. A bride-to-be needs to identify vendors who understand her wedding’s needs and are willing to work with her to make her vision a reality. 3) It’s all about clear, consistent messaging. This is the most important thing we tell every client, and the same goes for wedding planning. Before a bride-to-be sits down with any vendors, she really needs to take time to think about how she is envisioning her wedding and the look and feel of the event. For example, does she want her wedding to be classic, contemporary or somewhere in between? The bride-to-be then needs to relay her message to all of her selected vendors so they can in turn create a flawless event that has a look and feel consistent with her vision. Even if you are not actively planning a wedding or another special event, I encourage you to take a step back and see how you apply the basic rules of public relations to everyday situations. The connections you find might surprise you. 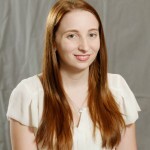 Christine Minero is a Communications Strategist at Gambel Communications in New Orleans. She is passionate about special event planning, graphic design, networking and living life to the fullest every day.